With a starting price of $329, Apple is not going to immediately undermine competing tablets from Amazon, Google, and now Microsoft. Yet it does represent a shift: “The iPad Mini is a harbinger of a different Apple–one that doesn’t just take big, risky swings to change the world but snags low-hanging fruit to appease board members, too,” says Mark Wilson in an article on our sister-site Co.Design. And with a slew of other product announcements today, Apple is offering consumers a multiplicity of new toys for the holiday season. Just how small is the iPad Mini? The screen is 7.9-inches diagonally and about as thin as a pencil, or 7.2mm. 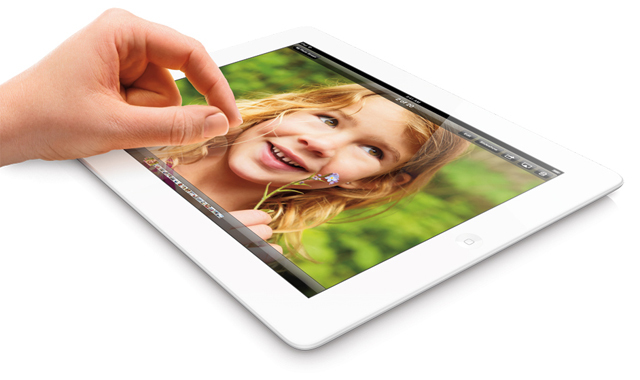 And it’s only .68 lbs.–that’s 53% lighter than the fourth generation iPad. As light as a pad of paper. And easy to hold in one hand, just like the Kindle. 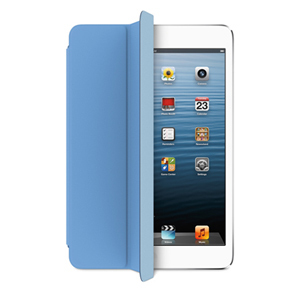 The internals of the iPad Mini are largely the same as the iPad 2. Should you buy an iPad Mini? Think back to when the first iPad came out… a lot of people didn’t think a tablet computer would have a place next to their iPhone and MacBook. A lighter, thinner iPad might seem extravagant, but turn out to be quite (one) handy–even though the Kindle Fire and Nexus 7 are less expensive devices with similar features. But the real question is, should you buy one of the 10 million iPad Minis currently being produced by low-wage Chinese labor? I had a dream that Fred Armisen liveblogged this event in his SNL “Tech Talk” character of a Chinese factory worker (see the video below). My bed is made from scraps from Mac notebook casings. Oh, and tears. As it turns out, Apple’s Chinese manufacturing partners, including Foxconn, treat workers fairly well when compared with many other industries. That hasn’t stopped the obsessive world of tech news from telling you otherwise, as The Awl proves in this finger-wagging story about the “the media’s thriving Foxconnomy.” Which is to say that you don’t need to feel guilty about wanting an iPad Mini, but maybe the media should feel bad for making you want one. Now don’t you feel a whole lot better about wanting a smaller iPad? Or maybe it’s time to reconsider the Surface tablet, which is powered by the boldest redesign in Microsoft’s history. There was a lot more hardware–even more than expected–announced today along with the iPad Mini. The iMac refresh was the most unexpected, while the 13-inch MacBook Pro with retina was the most obvious. Here’s what else you might have missed. Those 13-inch MacBook Pro with retina display hits I found earlier on Google? That was the first hardware announcement during today’s event. This is a serious laptop: 20% thinner than the previous 13-inch Pro, and four times the number of pixels. At 2560×1600 this screen has about double the number of pixels on my HDTV. Resolution alone doesn’t make the image work. This also has 29% higher contrast ratio, and 75% reduced glare with a 178-degree viewing angle. It’s available starting today for $1699. The old 13-inch MacBook Pro stays in the store for $1199. 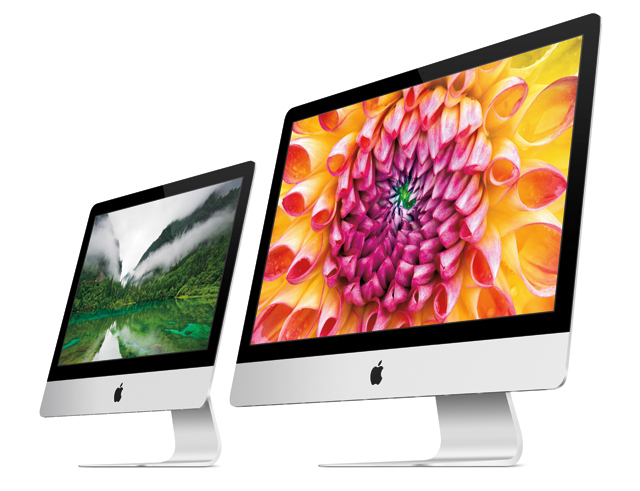 Here’s a surprise that wasn’t on the rumor mill: A brand new iMac. This is an incredibly thin computer, and Schiller rightly spends a lot of time talking about just how much engineering–“friction stir welding”–went into making it so slim. It has 45% thinner display. There are two sizes available. The 27-inch model is 2560×1440–note that that is still less than the 13-inch MacBook Pro–and a 21.5-inch model with 1920×1080. The iMac will also have a new “Fusion Drive.” It’s 128GB of flash storage fused into a single volume with a HDD that is 1TB or 3TB (that’s a lot of space). How can I turn the Mac Mini server into an Apple TV? Another surprise: the fourth generation iPad. It’s largely the same but the components have been updated to include a new A6x processor for improved CPU performance (2x the speed of the version in your now-outdated iPad that’s less than a year old). 10 hours of battery life. 16GB hard drive with Wi-Fi for $499 and 16GB with Wi-Fi and Cellular for $629. What was missing from today’s announcement? Scott Forstall, the senior vice president of iOS Software at Apple, who was expected to make the iTunes 11 update official (or perhaps add some new details).